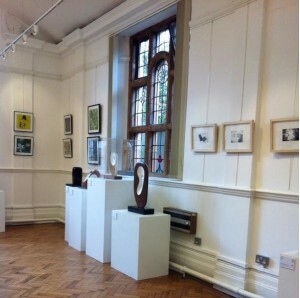 Exhibition open until 31st May. Pleasure and Beauty: six contemporary artists at the Carnegie Library Gallery. An exhibition of paintings, book works, prints and sculpture. Alison Bickmore, Sumi Perera, Julia Langley, Jane Langley, Jason Shuttleworth and Shane Greeves. Private View 6pm - 9pm Friday 15th May (Italian Buffet from Home Cooking SE24). Artist's talk Saturday 16th May 11:30am - 12:30 pm.